The Colecovision gaming system contains a single RF cable and two controllers. The gaming system’s RF cable is not compatible with composite video connections on modern televisions. To connect the device, you need an adapter that can convert the RF signal into one that your television, including high-definition and LCD models, can process. RF converters are available from electronics and computer stores as well as online electronics outlets. Once the conversion process is complete, you can immediately play games on the Colecovision system. Turn off your television and Colecovision gaming system, if the devices are on. Turn the devices around so the back of the units are facing you. Locate the gaming system’s RF cable. Plug the cable’s connector into the non-coaxial end of the Phono-to-F adapter. Locate your television’s coaxial “Antenna In” port. If the port is in use, complete the steps in the “Using a Coaxial Selector” section. Plug the coaxial end of the Phono-to-F adapter into the “Antenna In” port. Turn the coaxial connector clockwise to secure it in the “Antenna In” port. Plug in both devices, turn them around and turn them on. Set your television to the channel the Colecovision gaming system’s “Channel Selector” button, on the back of the system, is set to -- Channel 3 or 4. 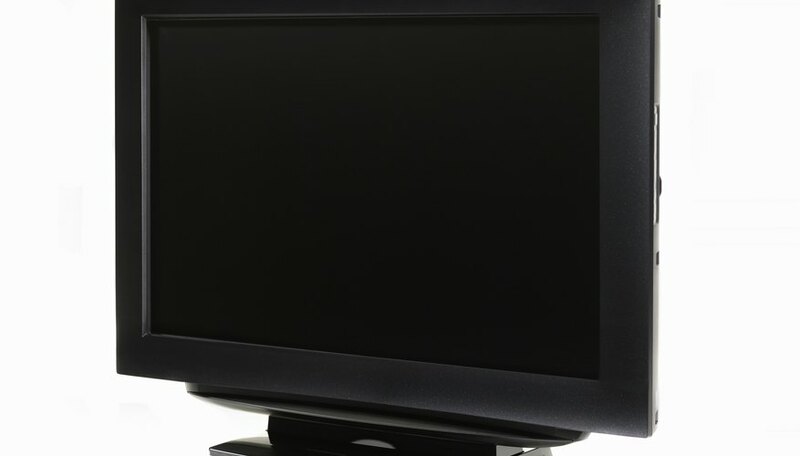 Unplug the coaxial cable that is plugged into your television’s “Antenna In” port. Sit the coaxial cable to the side. Place the coaxial selector device next to or close to your television. Plug the connector end of a coaxial cable into the Antenna In port and turn the connector clockwise to secure it. Plug the cable’s other connector into the Coaxial Out or similar wording port on the back of a coaxial selector. Turn the connector to secure it properly. Plug the coaxial cable you sit to the side into the Cable IN or Antenna In port on the back of the coaxial selector. Plug the coaxial end of the Phono-to-F adapter into the Gaming or similar wording port on the back of the coaxial selector. Turn the coaxial connector clockwise to secure it properly. Plug in all three devices, turn them around and turn them on. Push the “Gaming” or similar wording button on the front of the coaxial selector to activate the gaming coaxial port. Set your television to the channel the Colecovision gaming system’s “Channel Selector” button, on the back of the system, is set to -- Channel 3 or 4. If using a coaxial selector and you want to watch television channels instead of playing your Colecovision gaming system, press the “Cable” or “Antenna” button on the front of the selector.